We've included these beaches for you: Voula Beach and Vouliagmeni Beach. Visiting Glyfada Beach and Sea Stars will get you outdoors. 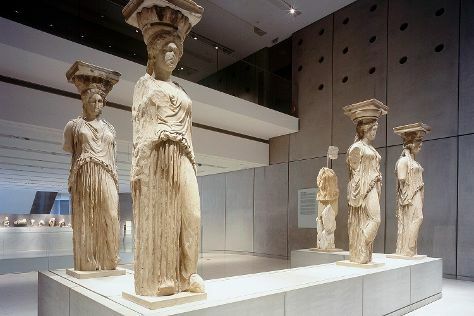 The adventure continues: examine the collection at Acropolis Museum, explore the world behind art at Benaki Museum, explore the ancient world of Temple of Hephaestus, and take in the dramatic natural features at Areopagus. For ratings, more things to do, photos, and tourist information, refer to the Athens itinerary planner . If you are flying in from United Kingdom, the closest major airport is Eleftherios Venizelos International Airport. October in Athens sees daily highs of 28°C and lows of 18°C at night. Wrap up your sightseeing on the 25th (Thu) to allow time to travel back home.